No modern-day woman can define herself in a single word. 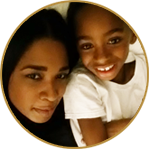 Bailey Sessoms is a single mom, professional makeup artist, certified Integrative Wellness & Life Coach, speaker, show host, entrepreneur, author (The Beauty Diary), graphic designer, and above all else, a conqueror. Like many girls, growing up, Bailey was constantly teased about her appearance. Called “bazooka lips,” “big foot,” and “chicken legs,” she became insecure about her looks and lacked self-love. But she was determined not to let that stop her. She realized the key to being comfortable in her own skin is believing she has something to offer. Bailey knew God created her with a purpose, and she took others’ negative energy and transformed it into something beautiful, literally. Now Bailey is living every girl’s dream, all grown up and still playing with makeup. Her fairytale began with an incredible start. In 1997, her first gig was working on a print campaign for Adidas, which is almost inconceivable for a makeup artist making her début. Less than three months later she signed on as an artist with Bobbi Brown for their studio and national events. That same year, Bailey took another major step and decided to extend her talent into television, and before you could say “action,” viewers across the country were seeing her work compliments of Black Entertainment Television (BET). After doing makeup for a Nestle Corporation photo shoot where she had the pleasure of doing makeup for BET former CEO Debra Lee, Bailey became Lee’s personal makeup artist and fulfilled the company’s other corporate makeup service needs. Less than two years later, Bailey was asked to join BET.com as its style producer and help launch the multi-billion-dollar company’s website. At BET.com, Bailey provided viewers with numerous beauty and fashion articles and covered world-renowned events like New York’s Fashion Week. Her repertoire consists of working with companies like XM Radio as an on-air talent and as a beauty columnist for AOL. She has been seen in publications including The New York Daily News, Afro Newspaper, The Knot, The Washington Post, and The Washington Post Express. Bailey has also provided makeup services for other prominent companies, including Hilton Hotels, GOD TV, Discovery Channel, Nickelodeon, and Radio One, as well as for notable public and political figures like Ray Lewis, Donnie Simpson, and Caroline Kennedy. Now, as a seasoned entrepreneur with a proven 20+ year track record for running a successful beauty brand, she shares her expertise with everyday women and entrepreneurs across the county, showing them how to define, level-up, and build an impactful personal brand. She works with million-dollar CEOs to side-hustle entrepreneurs. Bailey uses life coaching to help entrepreneurs develop new habits and an action plan to achieve the life they want. You will also find her freely sowing encouraging words, ideas, and her talents into others to help them grow their business. After overcoming a painful divorce, Bailey recently launched The Artistry of Dating, a faith-based relationship show and live event where Bailey shares a dose of God’s Word and some sassy, “Oh no, she didn’t” truth about how your image, lifestyle, and interpersonal relationships play a major role in who you do and don’t attract. 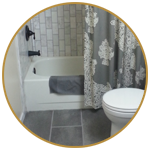 A native Washingtonian, Bailey is an honor graduate from Howard University, with a Bachelor of Arts in Interior Design. 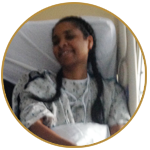 Bailey’s accomplishments certainly indicate that this latest venture will not be her last. When Bailey isn’t working, she enjoys play wrestling with her son, eating out, and traveling. I have a degree in interior design from Howard, I can lay floors, build shelves, the list goes on. Even been on the DIY Network. I’ve written 3 books. 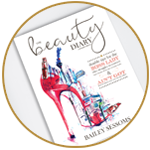 My latest book The Beauty Diary is my favorite. I may be the brains behind the operation, but this “Chief Kid Officer” sometimes calls the shots. 3 operations left me with 7 scars. They’re beautiful reminders that I’m still here. Yes, God is good!